HashiCorp builds tools to ease datacenter architecture decisions by presenting solutions that span the gaps. Their tools manage both physical machines and virtual machines, Windows, and Linux, SaaS and IaaS, etc. And they’re committed to supporting next-generation technologies, as well. 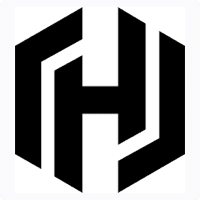 HashiCorp was founded and continues to be run by the primary authors of their core technologies powering thousands of companies worldwide. They speak at conferences and write books related to application and infrastructure management. All their foundational technologies are open source and developed openly, and have been since 2010. The Terraform InfluxDB Module builds out all necessary infrastructure for running InfluxDB and InfluxEnterprise on AWS. It allows for easily starting with OSS and scaling out to InfluxEnterprise as you scale your monitoring and analytics platform.